Denso has developed a new high amperage alternator for the Medium and Heavy Duty truck market that is smaller, lighter and more efficient than the industry competition. The PowerEdge™ offers these efficiencies in a smaller, more lightweight design, which translates into improved fuel economy. 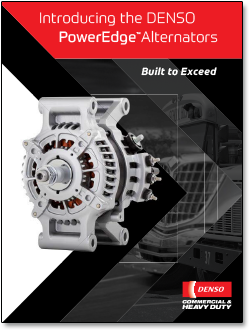 In addition to improved efficiency and higher amps at idle, the Denso PowerEdge™ alternator can be up to 10 pounds lighter than the industry’s competition. This means reduced fuel consumption over the long haul, which can save thousands of dollars per truck per year. 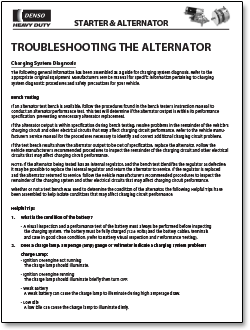 The PowerEdge begins charging the batteries at 600 engine RPM as opposed to 1600 RPM for the competition. • New. OEM. Passenger-Side. Not a substitute. • Superior efficiency, providing reduced fuel consumption and mileage savings. 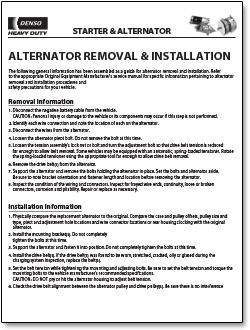 • Durability, long life, reducing replacement intervals and costs. • Higher amps at idle. • Remote sense features, prolongs battery life, reducing replacement costs. • Compact size and lighter weight, for improved fuel savings and ease of installation. 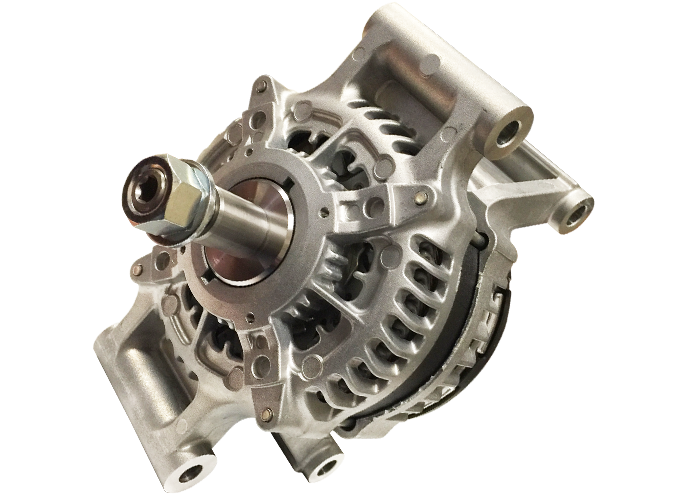 To purchase a Denso PowerEdge™ Alternator, click here for the MurCal web store.